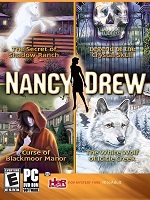 Genres: Mystery, Hidden Object, Puzzle. Description: Use a mystical locket to explore a magical world and save a young girl in Otherworld: Spring of Shadows! After buying a quaint house in the country side, you embark on an incredible adventure. With help from magical creatures, find and save Fiona before it's too late! Find the menacing shadow that took Fiona and return her to our world. 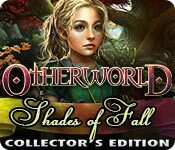 Solve inventive puzzles and discover secrets in Otherworld: Spring of Shadows, a fun Hidden Object Puzzle Adventure game. Download on Big Fish for: PC and Mac Download. Description: Join Fiona, a young girl born with magic, as she stops dark creatures in this hidden-object puzzle adventure. There is a magical world hidden beneath our own -- and only you can see it! Can you stop the Shade and his minions from casting our world into darkness? Description: Go on a quest to defeat an ancient evil. There's a magical world hidden beneath ours in this hidden-object puzzle adventure - but first you must gain the Sight to save it! The Shade is more powerful than ever, and magical creatures across the land tremble at the passing of the seasons. Continue the struggle with Fiona and the Storm Cat as fall sets in and discover secrets in both our world and in the Otherworld. Can you stop the Shade before the Eternal Winter arrives? * 12 Free Detective Games Online.